Stéphane Roy, a former vice-president of SNC-Lavalin, was facing charges of fraud and bribing a foreign public official in connection with the company's dealings with the regime of the late Libyan dictator, Moammar Gadhafi. 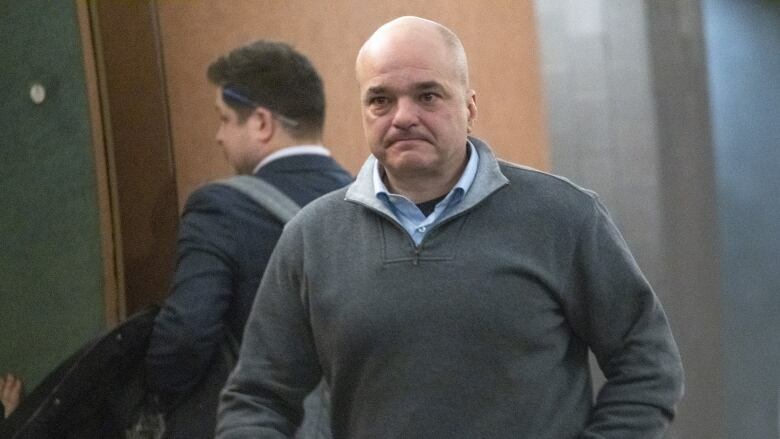 A judge has thrown out fraud and bribery charges against a former SNC-Lavalin executive after concluding delays in his trial had become unreasonable. Quebec court Judge Patricia Compagnone stayed proceedings against Stéphane Roy Tuesday. She said the delays created by the prosecution "are an example of the culture of complacency that was deplored by the Supreme Court" in its 2016 Jordan decision. Roy was facing charges of fraud over $5,000 and bribing a foreign public official in connection with the company's dealings with the regime of the late Libyan dictator, Moammar Gadhafi. He was charged in 2014, and his trial was scheduled to begin at the end of May. In a hearing last week, his defence invoked the Jordan decision, which set time limits on criminal proceedings. His case stemmed from the same RCMP Project Assistance investigation that led to charges against SNC-Lavalin. Those charges are fuelling controversy in Ottawa following a report that the Prime Minister's Office pressured former attorney general Jody Wilson-Raybould to help the engineering firm avoid prosecution. An RCMP affidavit filed in relation to the investigation alleged that Roy was involved in a plot to smuggle Gadhafi's son, Saadi, and his family into Mexico as the Libyan regime was falling in 2011. Roy was a vice-president and controller at the embattled engineering giant before being fired in February 2012. He was acquitted in July 2018 of fraud-related charges in connection with the construction of the McGill University Health Centre. Crown prosecutor Frederic Hivon had little to say after the ruling. Asked about an appeal, he replied: "We will take the time to analyse the decision." Defence lawyer Nellie Benoit said it is important that her client benefit from the presumption of innocence despite the abrupt end of the case. She said a trial is an opportunity for the Crown to prove its case but also for the accused to mount a defence. Roy will never get that chance, she said. "He deserves to be considered innocent until the end of his days," she said. The Supreme Court set a limit of 30 months between the laying of charges and the anticipated end of a criminal trial in provincial court cases where there is a preliminary hearing. Roy's case would have stretched to 64 months by the anticipated end of his trial.